A great marketing concept built on the back of high end high performance ammunition by one of America’s premium ammunition producers. 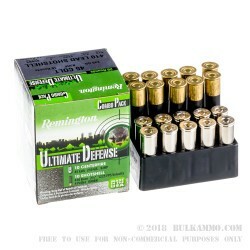 Aimed at the big bore revolver community essentially, this combination package of 10 rounds of .45LC and 10 rounds of .410 shotgun shells means that no user of the interesting big bore revolvers has to choose anymore. The combination pack lets you worry about more important things that having the right hunting or defense ammo on the shelf and takes the guesswork out of picking two separate loads. 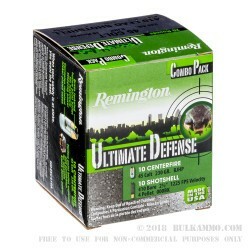 The Ultimate defense Combo pack by Remington features a couple of hard hitting rounds in the .410 2 ½” 4 pellet 000 buckshot and the 230 grain bonded jacketed Hollow point. 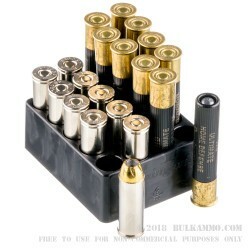 Here’s hoping that Remington or another maker recognizes the utility of combining often interchanged rounds together with each other for the purpose of taking the guessing game out of which one you need on your shelf full time and adding versatility instead. 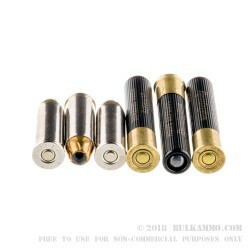 recognize that these rounds are potent loads capable of heavy hitting ballistics. They should be used responsibly in firearms marked to receive the specific cartridge listed. If your firearm does not note on its barrel that it can accept the caliber, do NOT use it in that firearm and consult your owner’s manual.